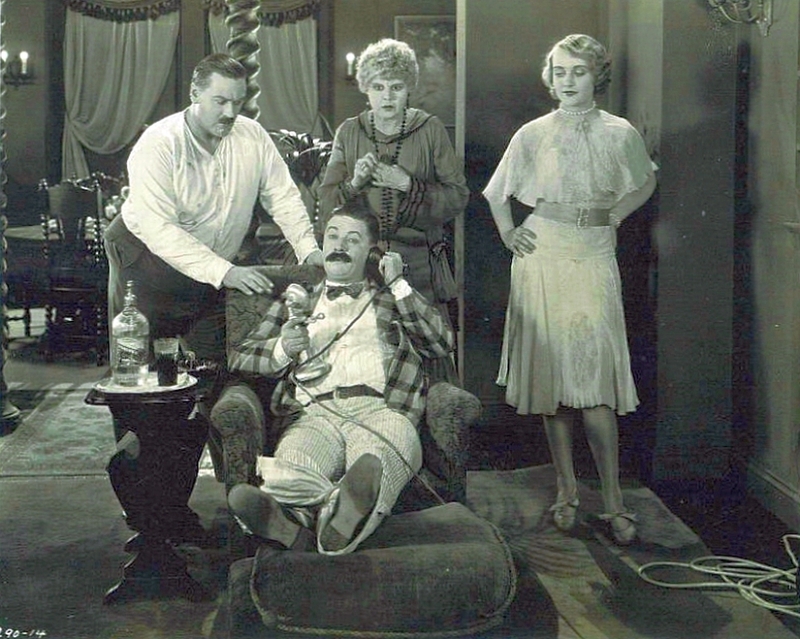 A recasting where the actors can't talk back - Carole & Co.
Yep, "The Dark Knight" circa 1926, or "The Princess Bride" in 1928 (directed by Ernst Lubitsch, no less!). 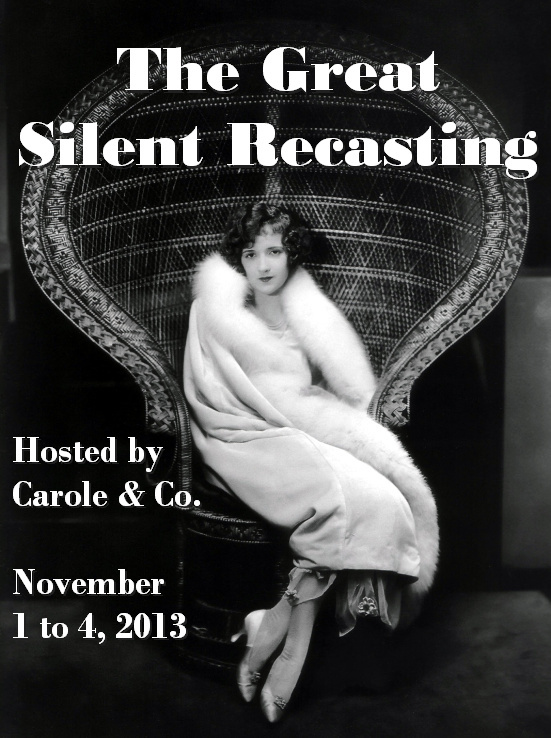 In other words, recasting films from recent decades as silents. For the classic movie blogosphere, this could be as potent as a sharknado. 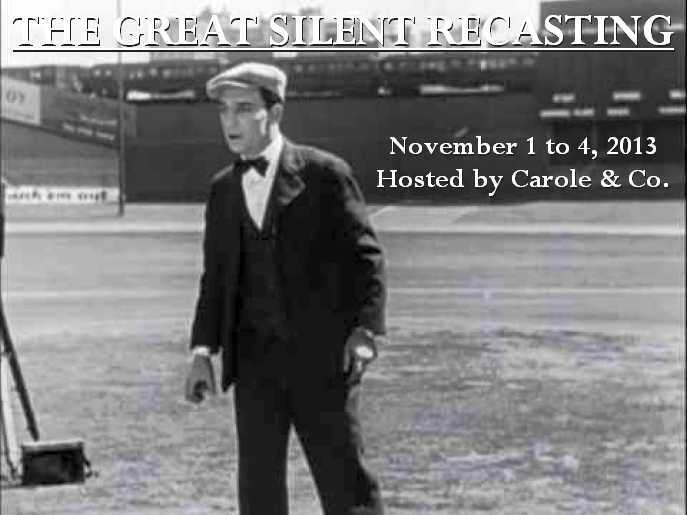 Therefore, I am delighted to announce that three months from now, "Carole & Co." will host its second blogathon..."The Great Silent Recasting," scheduled from Nov. 1 to 4. Initially, this was to be co-sponsored with Movies Silently, but unfortunately Fritzi Kramer, that site's coordinator (http://moviessilently.com) was unable to participate, so I'll handle it all myself. 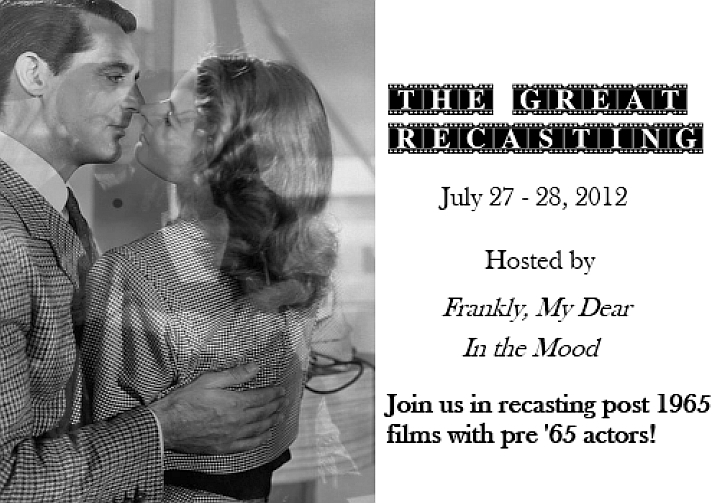 Here's how it will go: It will be similar to last year's "The Great Recasting," in that you select a film from 1965 onward ("The Artist" and Mel Brooks' "Silent Movie" are off-limits for obvious reasons), then re-imagine it with silent-era actors and a director, as well as a studio and year of release. 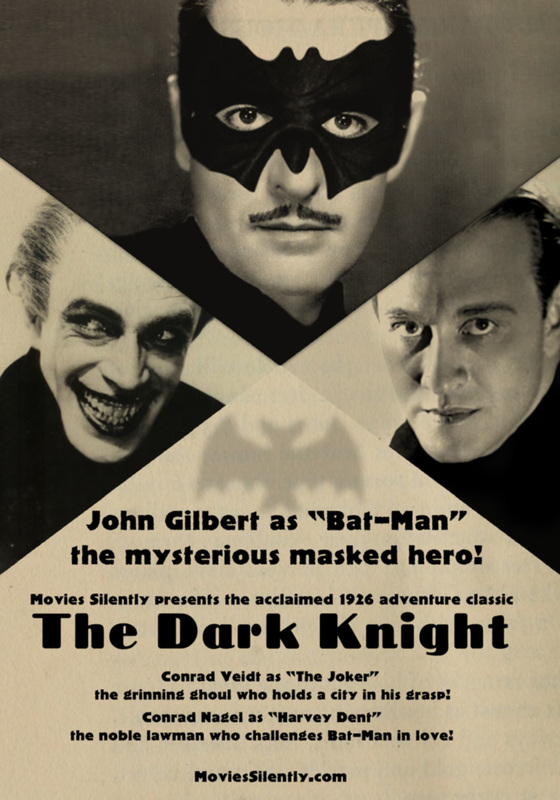 If you want to create posters similar to those above, fine, but it's not a prerequisite. I've arbitrarily set the silent cut-off year as 1929. Will I be doing one with Lombard? Of course. 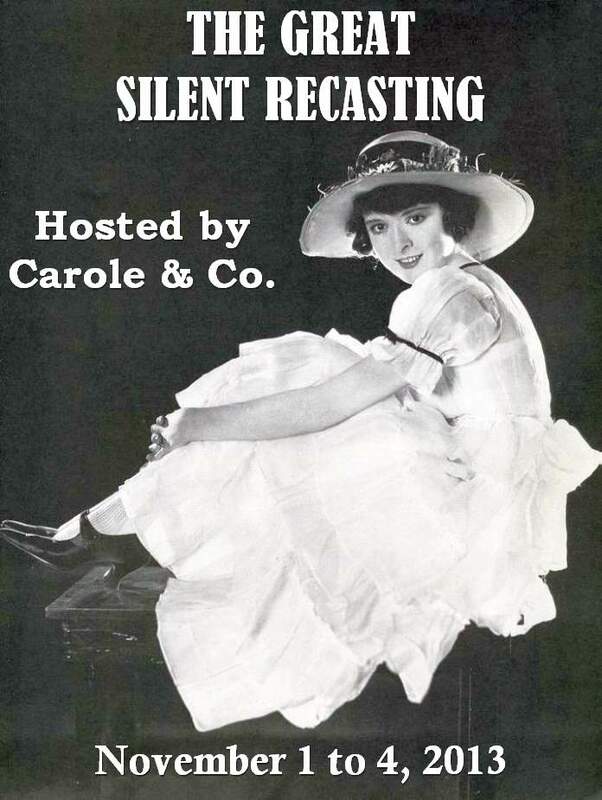 So what if she never starred in a silent feature -- in this alternate universe, she can, since she actually appeared in silents. If an actor or actress appeared in a silent, even in bit parts, he or she is eligible as long as the fictional fllm is made at a time when he or she was actually working. (In other words, if you want to cast Jean Harlow in a silent, it has to be made in '28 or '29.) We'll also assume studios can loan out personnel at will, so if you want to ship John Gilbert to First National or Fox, fine. Interested in participating, or want to learn more? Leave a comment below. Hey there! Even if I can't co-host, I will still be participating. I will chip in with Star Wars, circa 1915. Has anyone taken "Harry Potter and the Sorcerer's Stone" yet? Oh, gosh, The World's Funniest Dissertation is absolutely in! I imagine I'll end up redrawing scenes since this looks like it'll be a lot of fun (and I waste hours of my life drawing comedians anyway). I look forward to your entry for the blogathon. This sounds great! I'd like to recast this 80s anime feature Windaria. 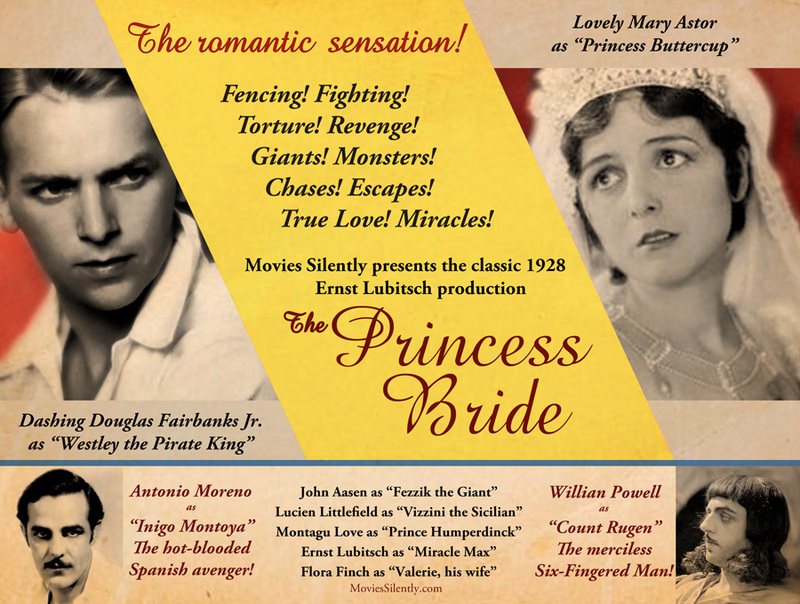 It's melodramatic and anti-war--- a perfect fit for the king of epic melodrama himself, DW Griffith! Great! I'll recast a movie I didn't think I'd like: Ted, the one with the inconvenient teddy bear. 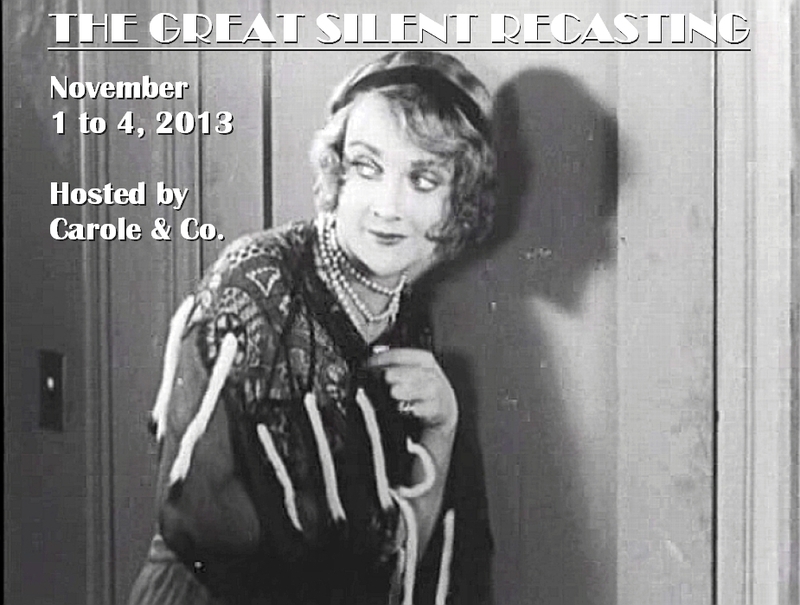 It would be so cooler as a silent film!